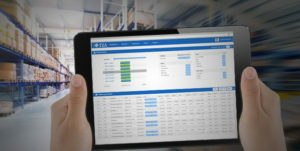 Long Grove, IL, September 29, 2016 – TZA, the leader in supply chain labor management solutions, announced today the availability of a new release of ProTrack Labor Management Software as it continues to enhance the industry-leading functionality throughout its software platform. Daily Inquiry Screen has been entirely redesigned for quick, easy access to detailed performance metrics and trends. New analytic components, user-configurable displays and faster searches put more information at the user’s fingertips in less time with less clicks. Unit of Measure Tracking allows users to calculate, compare and communicate labor performance using traditional volume per hour metrics, including units, cases, lines or user-defined measures. Manufacturing Goal Time displays team production expectations and progress against work orders to give associates improved visibility to their current performance level.